A credit card that cares. Automatically support nonprofits with your 1.5% rewards. Select from any registered nonprofit, and weight your portfolio to set the percentage of your rewards that go to each cause. We'll point you to companies that are positively supporting the causes you care about, and will show you the stats. 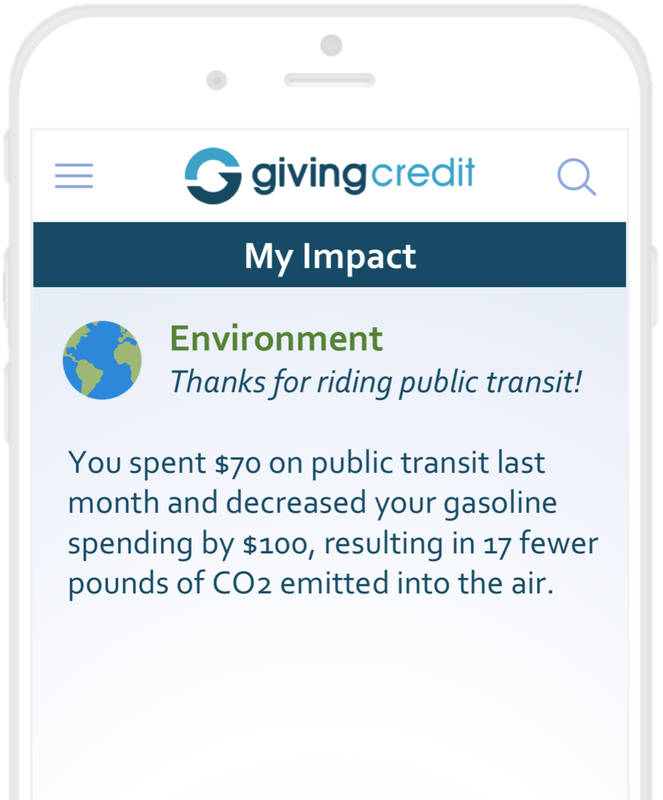 Monthly reports show the positive impact of your purchases, both by donating to nonprofits and by purchasing at companies supporting your causes.